RENTOFFICES.IN - ? 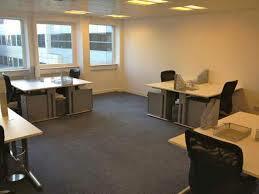 Office for rent in Santacruz| Mumbai - commercial/Space on Lease at Santacruz west .
? Office for rent in Santacruz| Mumbai - commercial/Space on Lease at Santacruz west . Washroom, reception area, car park area, 24x7 security, Lease/rent office/space at santacruz ( west) Mumbai ,Western Suburbs. Mumbai Office space for Rent in Santacruz ( west ) 1100 sq. ft With rentals placed at Rs 250000/ per month in A grated glass faced building at santacruz west , pick on lease this commercial property ( office space ) for rent at Andheri west at s.v. Road , close to santacruz station Semi furnished . Rent office spaces in santacruz, 16th road 2400 sq. ft ground floor lease this commercial property ( office space ) for rent at Santacruz west excellent for production houses / mnc companies call for price ,placed at a commercial building premises Mumbai western suburbs. 4000 sq ft office space for retn in santacruz west in glass facade building ,get on lease this commercial property ( office space ) for rent at Santacruz west ﻿at kamala spaces rentals at Rs 175 per sq. ft close to subway and airport easy access to railway station decorative and good infrastrtucer building Mumbai western suburbs . S.B.I bank office space for rent in santacruz west 1000 sq. ft with monthly rental at Rs 145000/- office space can be used for any purpose back office |call centers , consultants etc access on lease this commercial property ( office space ) for rent at Santacruz west close to railway station and a 10 minutes’ drive to airport Mumbai western suburbs. Commercial/space for rent in santacruz many sq. ft area at disposal like 700 sq. ft / 1750 /1800 / 1500 sq. ft 2500 / 3000 / 4000 sq. ft / ft at or off s.v. Road new glass facade building lease this commercial property ( office space ) for rent at Santacruz west near dynasty restaurant rent 180 per sq. Mumbai western suburbs . 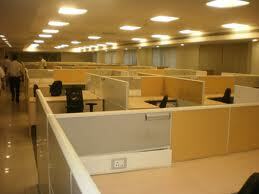 office space for rent in santacruz ( west) Khira nagar 1250 sq. ft get on lease this commercial property ( office space ) for rent at Santacruz west fully furnished RS 150 k - In Santacruz ( west ) Rent commercial offices spaces in santacruz west , commercial ,premises ,buildings, Mumbai western suburbs . Mumbai Rent 2500 sq. ft get on lease this commercial property ( office space ) for rent at Santacruz west office space for rent in santacruz ( west) furnished old building main s.v. Road near to station Rs 140 per sq. ft - Rent offices spaces santacruz commercial buildings premises Mumbai western suburbs. santacruz west office space on lease this commercial property ( office space ) for rent at Santacruz west office/spce options at 250 / 350 / 400 / 500 / 700 750 / 800 /sq. ft near station, semi furnished asking 140 per sq. ft- Rent offices santacruz spaces premises commercial buildings Mumbai western suburbs. Near police station office space for rent in santacruz (west) ahead of lion’s garden 480 sq. ft get on lease this commercial property ( office space ) for rent at Santacruz west semi furnished Rs 130 per sq. ft- Rent offices santacruz spaces premises Mumbai western suburbs. ﻿Rent office spaces / commercial premises in santacruz west ,450 off linking road near araya smaj fully furnished Rs 165 per sq ft -- Rent offices space in santacruz ,commercial , premises ,buildings ,mumbai western suburbs. 7000 sq ft office space for rent in santacruz ( west) ﻿main s.v.road ,glass facade building rent Rs 175 per sq ft-Commercial- Rent offices santacruz spaces premises mumbai western suburbs. commercial building office space for rent in santacruz ( west) ﻿in Business Suit 9, 1800 sq ft Built up fully Furnished New glass facade building 360000 rentals + deposit 1 car park - Rent offices spaces santacruz west commercial buildings premises mumbai western suburbs. showrroms space for rent in santacruz ( west) ﻿ in sanatcruz west 1200 sq ft main ling road at santacruz west, rent /lease shops showrroms in santacruz west linking road Rs 380000 per month .- In santacruz west rent / lease commercial shops / showrrom in santacruz west , mumbai western suburbs . Linking Road office space for rent in santacruz ( west) ﻿756 carpet with 1 car parking currently semi-furnished Rent 175000 neg- Rent offices spaces santacruz west commercial buildings premises mumbai western suburbs. ﻿Get office space for rent in santacruz ( west) ﻿Rent commercial office space in Santacruz west in Linking Road ,950 sq ft semi-furnished Rs 200000 rentals - Rent offices spaces santacruz west commercial buildings premises mumbai western suburbs ﻿. ﻿Rent office spaces / commercial premises in Santacruz ( west ) ,off s.v. road 2000 carpet area Rs 325000 - Rent offices spaces santacruz west commercial buildings premises mumbai western suburbs. s.v. road office space for rent in santacruz ( west) ﻿Dheeraj Heritage - 500 carpet area Rent 100000 - Rent offices spaces santacruz west commercial buildings premises mumbai western suburbs.